Sebago Brewing finds a new space for doubling its production capacity, the latest in a series of company moves to meet rising demand. GORHAM — In another sign that the craft beer business in Maine is booming, Sebago Brewing Co. is preparing to move to a bigger space that would double its production capacity. Sebago was one of the first craft breweries in the state, opening as a brewpub next to the Maine Mall in 1998. The industry has taken off in the years since then, and within just the past two years, several craft breweries across Maine have either announced expansions or opened new locations. Baxter Brewing Co. in Lewiston spent more than $2 million to quadruple its beer production in 2014, and Bissell Brothers Brewing Co. in Portland moved to a larger facility on Thompson’s Point earlier this year. That allowed Foundation Brewing Co. to take over Bissell’s former location, bringing Foundation’s space to 7,500 square feet and making way for another expansion in 2017. In Freeport, Maine Beer Co. plans to quadruple the size of its nationally known brewery and tasting room. And Rising Tide Brewing Co. invested at least $160,000 to triple the size of its Portland tasting room last year. Now Sebago is getting ready to ramp up its operations in Gorham. “There was a big shift from us brewing in the Maine Mall parking lot and people not being interested, to people coming to tour the brewery,” said Kai Adams, vice president and one of the founders of Sebago. In 2011, Maine had 34 craft breweries, according to the national Brewers Association, an industry trade group. By 2015, that number had jumped to 59. 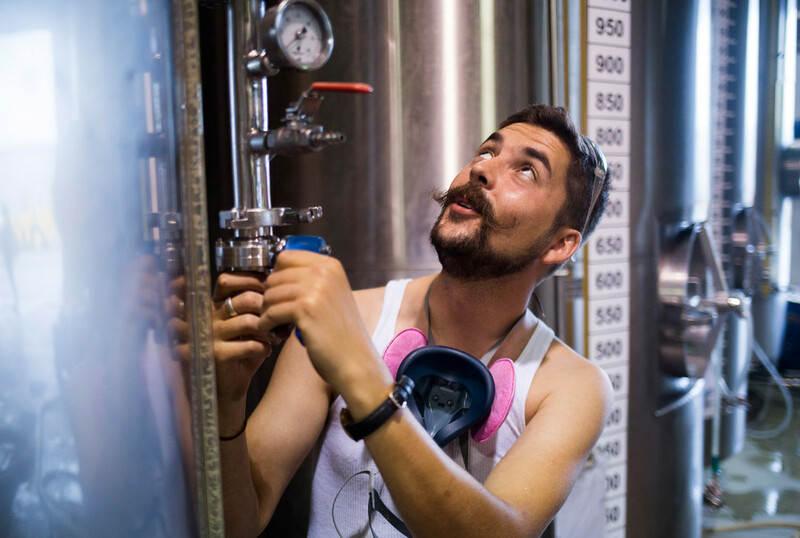 The association defines craft brewers as those with an annual production of 6 million barrels of beer or less. Craft brews make up about 3 percent of annual beer sales nationwide. And while eating lobster or local seafood remains the most popular activity for 63 percent of visitors to Maine, 35 percent of tourists also stopped by a local brewpub or craft brewery, according to a survey in the latest annual report from the Maine Office of Tourism. Another survey in the report estimated that 18 million people visited the state last year, meaning roughly 6.3 million of them made a stop at a brewpub or craft brewery. Sebago makes its beer in an 8,000-square-foot warehouse in an industrial park. With town approval, the company would build its new location on Lower Main Street and offer tours, tastings and a small menu of food. The $5 million project has been in the works for nearly three years, but Sebago only recently selected a location and began the process of getting Planning Board approval. Gorham officials said they wanted to keep the only craft brewery in town. The Planning Board will likely approve the project in September or October, so construction could begin this fall. With a distribution network throughout New England, Sebago is already pushing out 11,000 barrels a year. 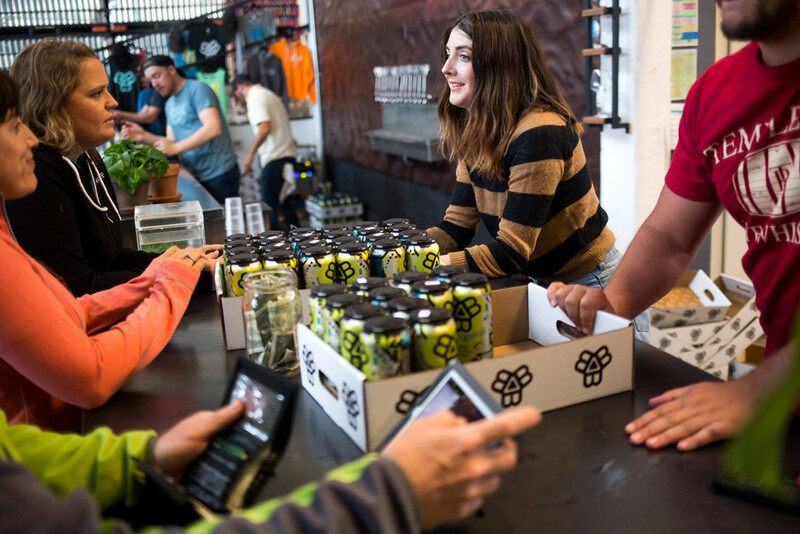 As craft beers have attracted more fans in recent years, a rebranding and a switch to cans in 2014 also increased demand. Sales of Sebago’s beers rose 24 percent last year and are on track to jump 45 percent this year, Adams said. The new brewery is planned just east of the intersection of routes 25 and 237, not far from the current location. The Shaw Brothers Family Foundation owns the property and plans to use the rest of its 200-plus acres for farmland and recreation. The site is across the street from Sebago’s local wholesaler, Nappi Distributors. The footprint of the new brewery would be more than 30,000 square feet. Most of that space would be dedicated to brewing, but the plan includes a large tasting room for visitors and tour groups. 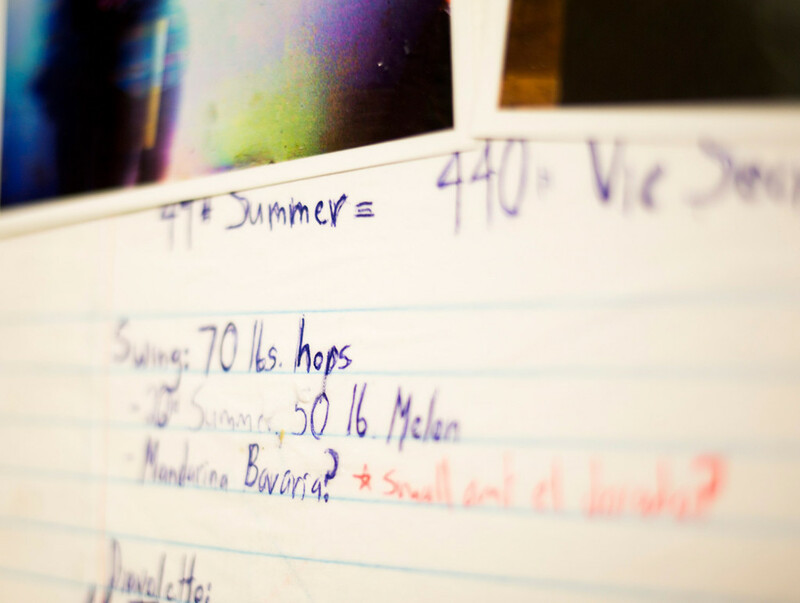 At other breweries, the desire to add or expand a tasting room also has been a motivator for growth. 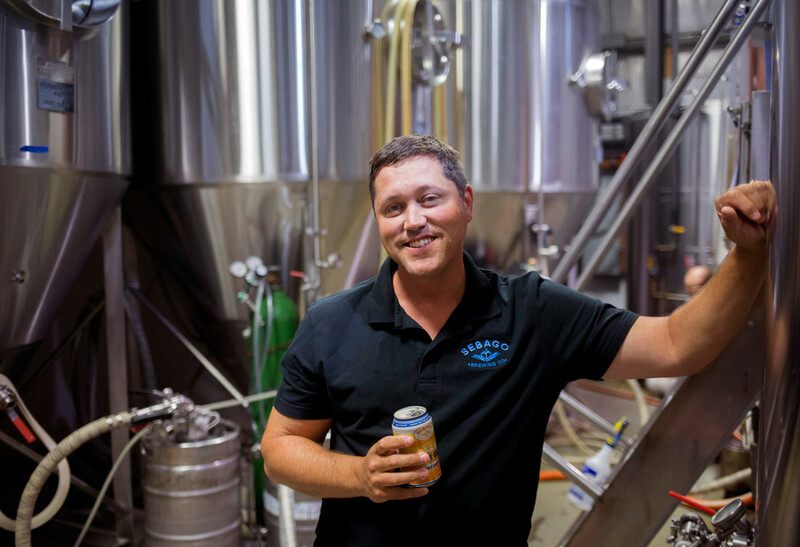 Several credited a 2011 state law that allowed beer-makers to sell 4- to 16-ounce “samples” right at their breweries, making the breweries themselves go-to tourist destinations. “The breweries are the place to go for the public,” said Peter Bissell, co-founder and business director at Bissell Brothers. 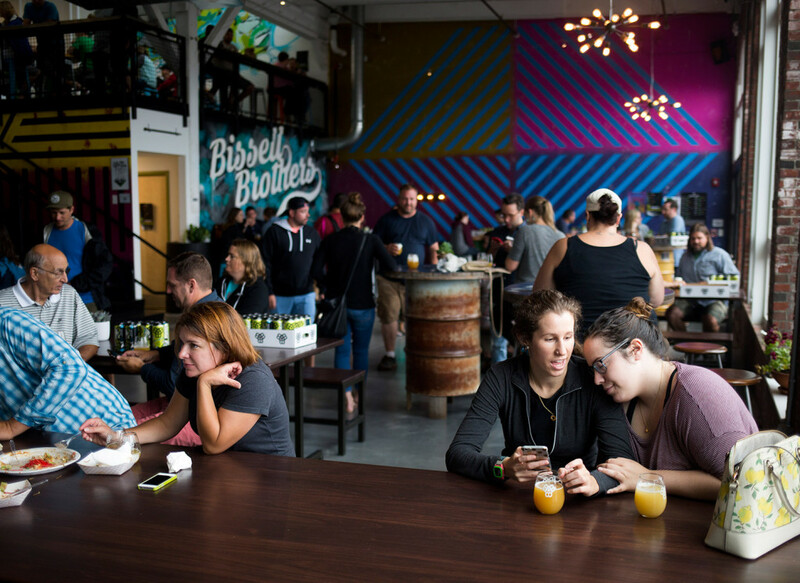 The Bissell brewery opened three years ago at 1 Industrial Way in Portland, in a cluster with Allagash Brewing Co. and Foundation Brewing, but quickly outgrew its space. Bissell declined to reveal how much the recent move to Thompson’s Point cost, but said brewing capacity grew about 75 percent, and more equipment is on the way. The move expanded Bissell’s tasting room from 500 square feet to 2,500. 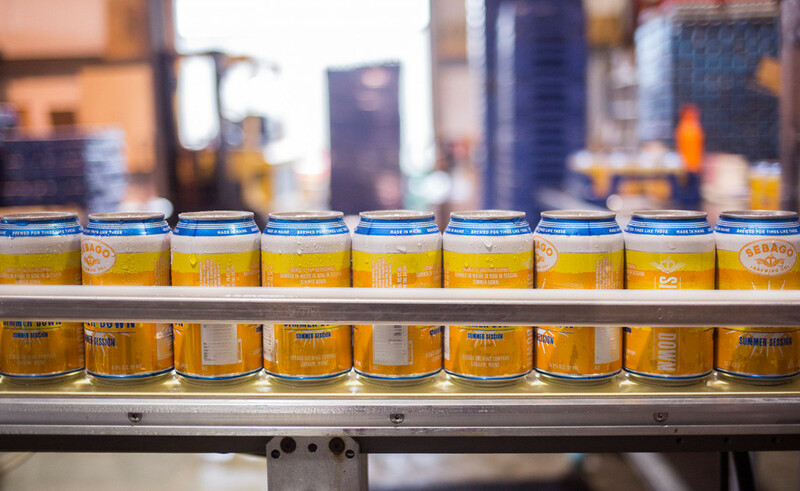 Ninety percent of the company’s cans are sold on site, and even on a recent rainy morning the shop sold out of 150 cases in 70 minutes. But Bissell said he’s being cautious. Although the new location has room for more tanks, he’s not planning to fill that space – yet. “The worst thing you can do is to expect some growth trend to go on forever,” he said. 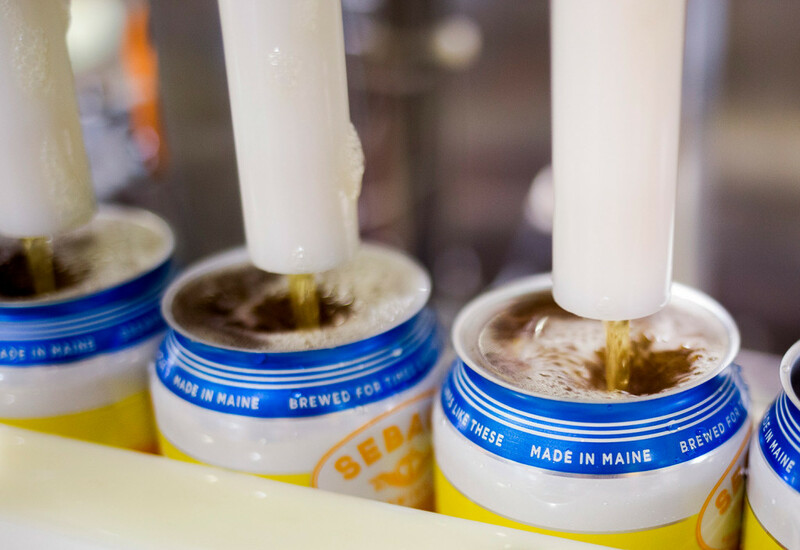 In recent years, however, Maine has been recognized by Forbes, VinePair, All About Beer Magazine and other publications as a leading state for craft brewing. Rising Tide moved its warehouse to Westbrook, which freed up space at the 103 Fox St. location for a wraparound bar and an entertainment system. The company’s new warehouse was actually vacated by a craft beer distributor, which also needed to expand its footprint. TigPro Inc., a Portland-based steel manufacturer, grew from 4,000 to 10,000 square feet to accommodate orders from brewers. 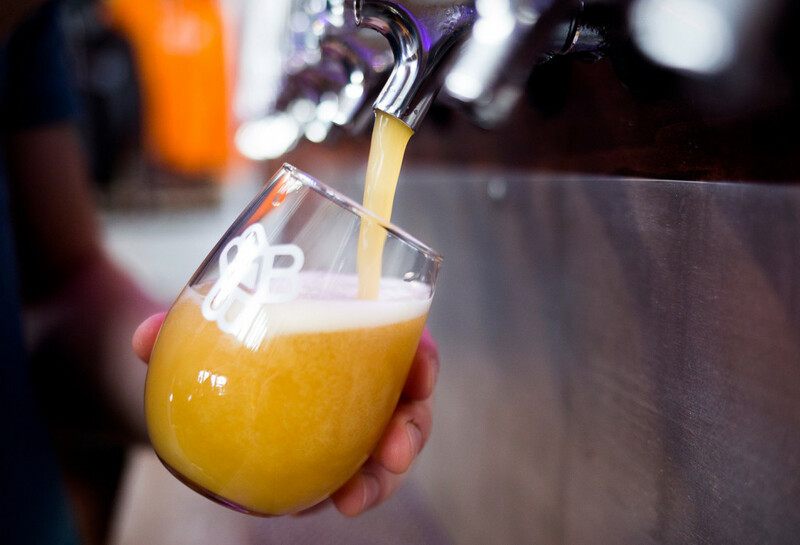 “The state of the other side of the industry – the materials, the construction, the stainless steel, the fermenters – that side of the industry is equally as busy, as tapped out, no pun intended,” said Luke Livingston, founder and president of Baxter Brewing. Sebago’s new brewery will likely open late in 2017. The company’s four brewpubs would remain in Gorham, Portland, Scarborough and Kennebunk. As for the existing brewery? “I would love to find a new craft brewery to take over this space,” Adams said. CORRECTION: This story was updated at 11:31 a.m. on Aug. 11 to clarify that the new brewery will be located near the intersection of routes 25 and 237.